Material of wafer check valve: A105,LF2,WCB,LCB,F304,F304L,F316,F316L,F51,F321,Monel. 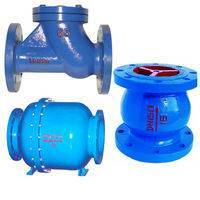 The wafer type check valve have three types, one type is double plate swing check valves, this type of the check valves have anther name is butterfly check valves,they have two semicircle disc and two spring, the second type is single plate swing check valves, they have one round disc, the face to face is very short for this type of the check valves, the third type is single plate lift check valves, they have one round disc and one spring, have a solid thermoplastic body with a very thin "wafer" profile that makes them an ideal check valve for applications that require valves with short takeout lengths. Similar in operation to a swing check valve, the wafer check has a solid thermoplastic disc and seat arrangement that performs the check action. In one direction, fluid lifts the disc off of the seat and allows fluid to pass freely. 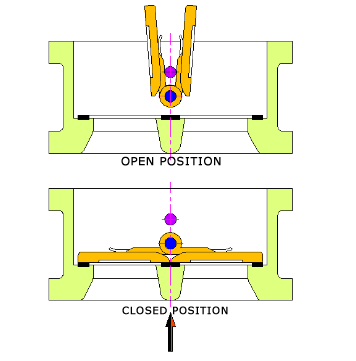 In the opposite direction fluid drives the disc into the seat, creating a seal and preventing fluid from back flowing upstream. 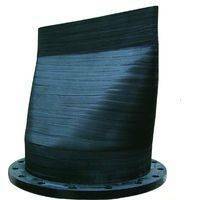 Because of its slim profile, wafer style checks are unlikely to clog which makes them ideal for service lines with large debris or solids. Wafer check valves are used in applications where it is essential to ensure fluid flow passes in only one direction. 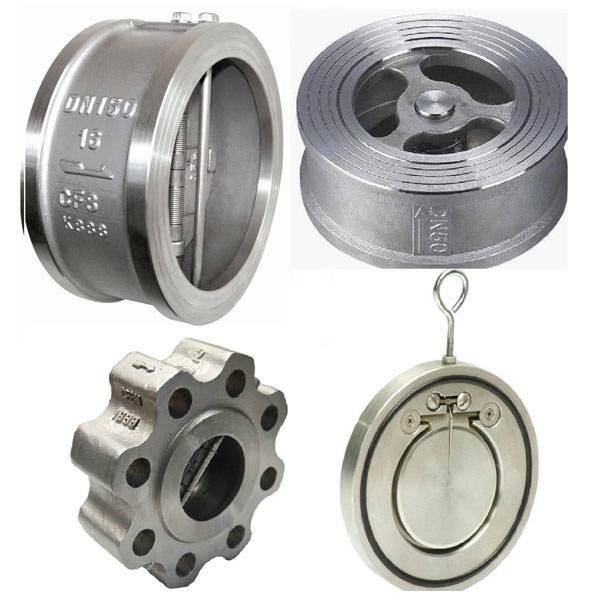 Wafer check valves can be mounted in vertical or horizontal directions, with the only restriction being a minimum back-pressure required to properly seat the check valve. 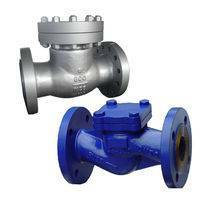 Spring assists and lever and weight mechanisms are available options to assist in closing the valve quicker to reduce water hammer concerns. Neoprene, Buna-N, EPDM, Viton�, Silicon etc. 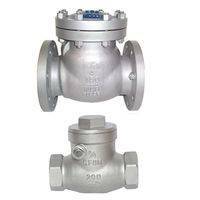 Lift type Check Valves feature a wafer type, compact and rugged cast steel design and are suitable for any process liquid, air, gas, steam etc. Disc check valves are opened by the pressure of fluid and closed through compression spring as soon as flow stops thus preventing reverse flow.